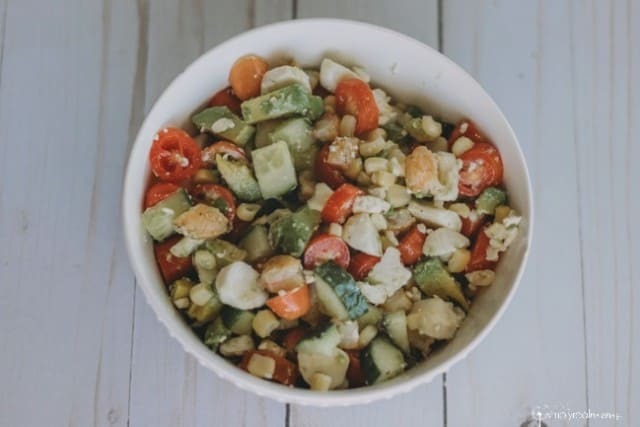 I’ve been on a salad kick lately, trying to mix as many different variations of fruit, vegetables and protein that I can come up with to feed my cravings. I have a lot of favorite go-to salads like my Grilled Chicken + Ramen Salad that I love but a few weeks ago as I was cleaning out the fridge I threw together some ingredients that sounded good and OH. MY. GOSH. Perfection! 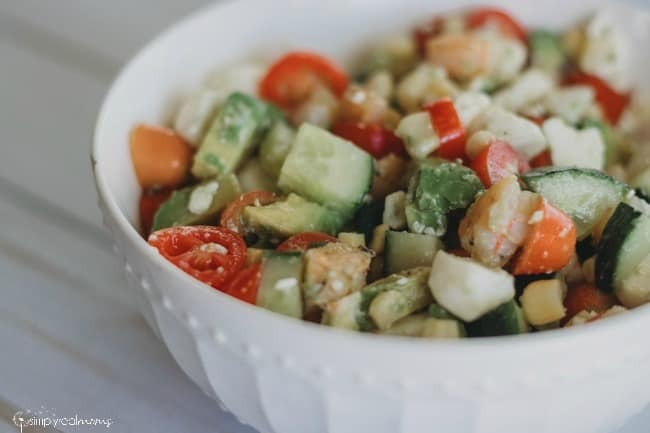 I chopped up some mozzarella cheese, cherry tomatoes, cucumbers and avocado, then added some leftover corn on the cob and some feta cheese and tossed it all with some marinated chopped up shrimp. It’s so simple to make and I’ve eaten it several times since, I can’t get enough! Sprinkle the shrimp with the garlic salt and italian seasoning blend on both sides. Heat olive oil in a pan and cook the shrimp until cooked through and pink. Let shrimp cool and reserve the cooked olive oil. Chop the shrimp into bite-sized pieces. 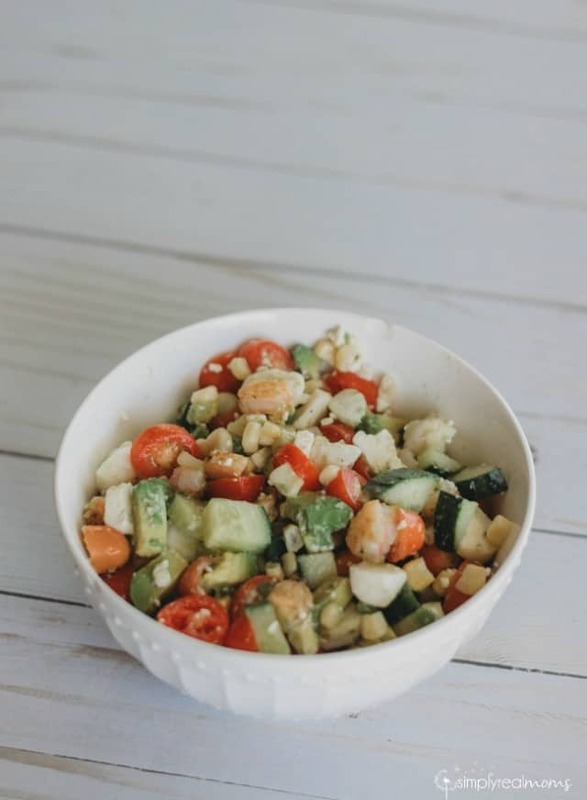 Combine the remaining ingredients with the shrimp in a bowl and drizzle with the cooked olive oil. Toss until combined and serve right away.